Your home is your refuge. Make it peaceful with the Donal sculpture. 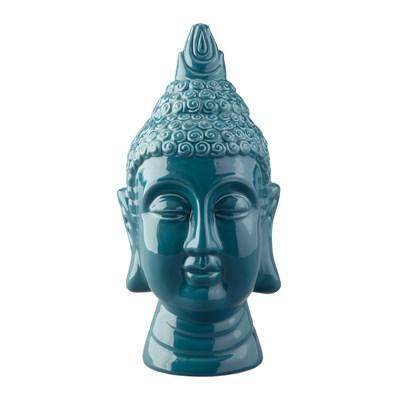 Remarkably crafted Buddha head gleams in a rich teal hue. Place it inside or outside to complete your global decor with a sense of calmness. Your home is your refuge. Make it peaceful with the Donal sculpture. 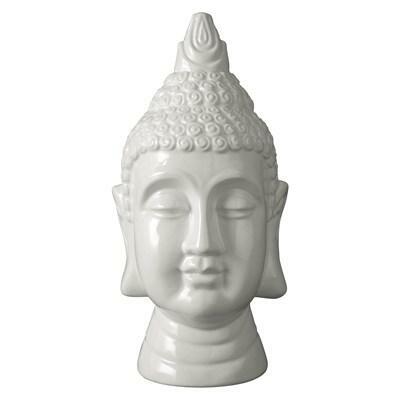 Remarkably crafted Buddha head gleams in crisp white. Place it inside or outside to complete your global decor with a sense of calmness. 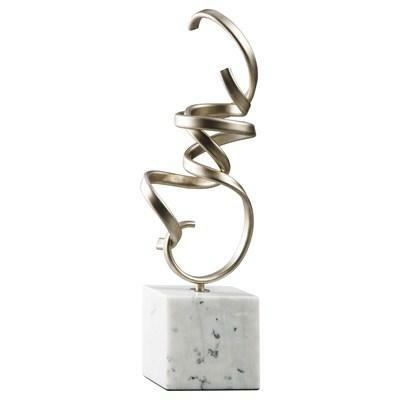 Richly crafted of champagne-finished metal and white marble, the Pallaton sculpture is high art made highly affordable. Whether placed in an entryway or main room, what a beautiful way to bend the rules. With the Eleutheria duo sculpture set, you’ll have a fully-fledged space worthy of taking flight. 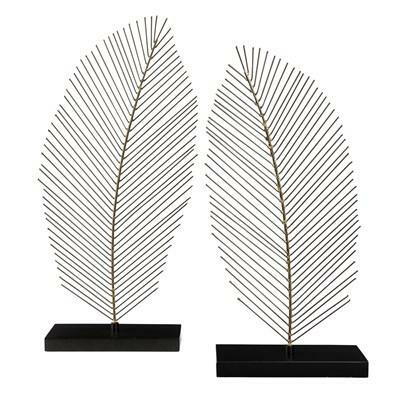 Quill-like feather barbs in natural finished metal add modern pizzazz and timeless class to any living room or home office. Clean lines and natural materials convey a love of sailing and a passion for the ocean in this striking piece. 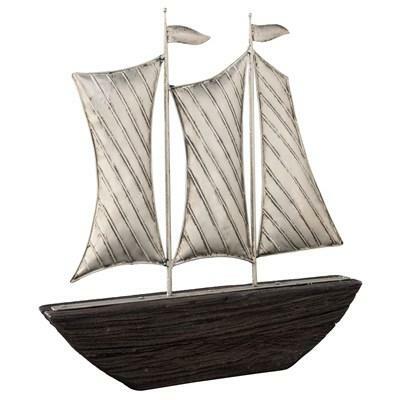 The Myla sculpture is the perfect accompaniment to a nautical collection or a seaside cottage. 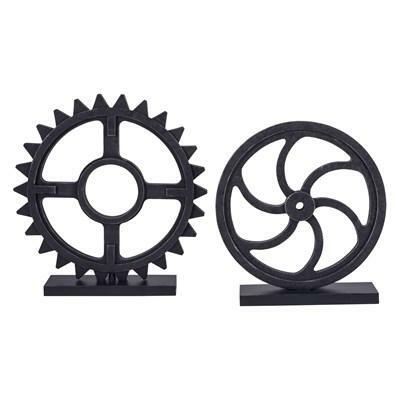 Crank up your style with this pair of Signature Design Dermot wood gear sculptures in an antiqued black finish. So very urban industrial, they work beautifully on a bookshelf, mantle or table. 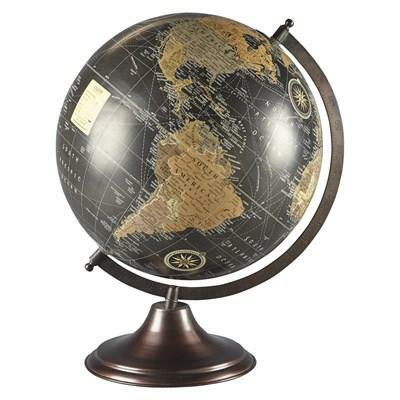 There’s something to be said for going “old school.” Sporting antiqued bronze-tone accents and rich, earthy hues, this Signature Design metal globe sculpture brings home a touch of worldly sophistication that never goes out of style. 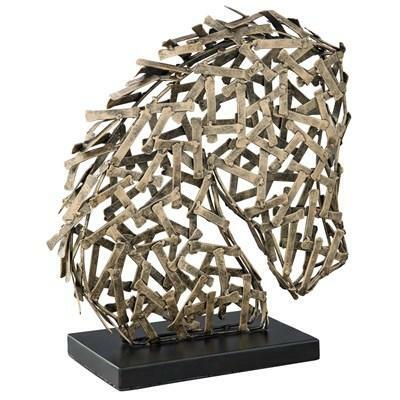 Using antiqued goldtone metal, the Nahla sculpture captures the spirit of a wild stallion. Adorning a shelf or as a statement piece on its own, it’ll bring home the prize wherever it’s placed.